I have been working on my "52 Weeks...Kansas" post for some time now, but encountered some technical difficulties. Because of my busy weekend, I may not be able to complete it before Sunday morning. I will post it as soon as possible. Thank you for your patience! 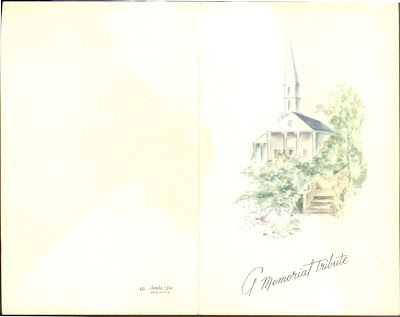 Funeral program (with inserts) of Adrian DeVries, Grand Rapids, Michigan, citing death on 6 January 2007; DeVries Family Papers, digitized and privately held by Miriam Robbins Midkiff, [ADDRESS FOR PRIVATE USE,] Spokane, Washington. 2010. 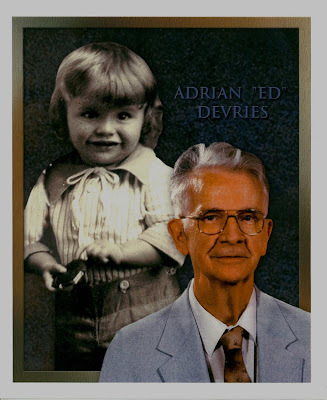 The funeral card--or should I say funeral program--of my maternal (step) grandfather Adrian DeVRIES differs greatly from those of his family members featured the last month. His is a mini-biography, complete with photographs from his childhood to his elder years. The size of it is much larger as well. 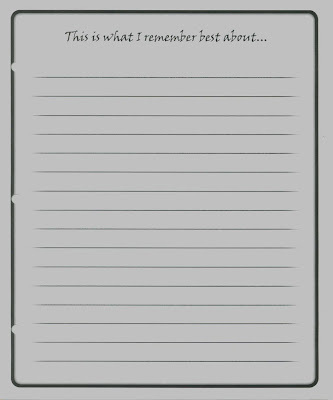 Included in the program was a lined sheet in which extended family members and friends could write their favorite memories of Adrian to leave with the family. 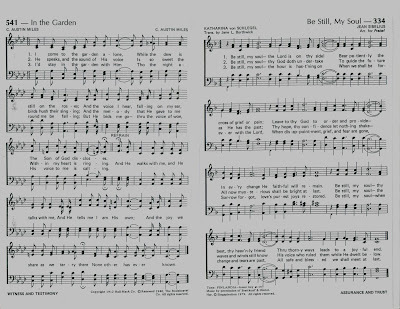 Also included for the mourner's convenience were three copies of hymns which were sung at Adrian's funeral, one of which, In the Garden, is my favorite. Reuben Wohlford and Elizabeth (Nearhood) Snook. C. 1873 or later.Original photograph privately held by Troy Midkiff, [ADDRESS FOR PRIVATE USE], Vancouver, Washington. 2010. 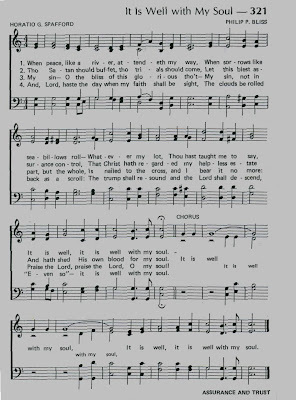 This is the 16th post in a weekly series of Online American Digital Archives and Databases found for free at state, county, municipal, college and university history, library, and archive websites, as well as public and private library and museum sites, and historical and genealogical society sites. Iowa Heritage Digital Collections - http://www.iowaheritage.org/ - "an online repository of Iowa history and culture created by bringing together in digital form documents, images, maps, finding aids, interpretive and educational materials, and other media from collections held by a wide range of organizations throughout Iowa." Iowa State University Library Special Collections - http://www.lib.iastate.edu/spcl/index.html - besides finding aids for on-site collections, some of the photos can be accessed through their Flikr site. The Digital Collection includes photos of student activities, a Fashion Plates collection, the George Washington Carver collection, and other art and drawing collections. University of Iowa Libraries - Iowa Digital Library - http://digital.lib.uiowa.edu/ - "features more than 300,000 digital objects created from the holdings of The University of Iowa Libraries and its campus partners. Included are illuminated manuscripts, historical maps, fine art, political cartoons, scholarly works, and more." Collections include arts and literature, book and printing history, business and industry, campus and Iowa history, multicultural groups, music, politics and government, science and geography, travel and transportation, and women and women's history. University of Northern Iowa Rod Library Digital Collections - http://cdm.lib.uni.edu/ - history of the university, yearbook, photos, Cedar Valley Historical Collections (maps, centennial, history), Iowa Historical Collection (blue book, native history, audio collection), honors theses/projects, and much more! Check out my Iowa Online Historical Directories page. This is a very overdue post. 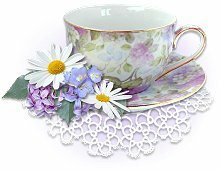 I wanted to let my readers know that there have been some wonderful genealogy carnivals posted so far during the month of April. To view those that have been published, as well as the topics and due dates for future posts, please read my April 2010 Calendar of Events post. Also, I discovered back when I wrote that Calendar of Events post that I had not updated the March 2010 Calendar of Events nor the February 2010 Calendar of Events with the latest published carnivals. Those have now all been updated, so if you are behind (as I am) on reading some great articles, you now have updated lists of them to peruse in all of your spare time (wink!). 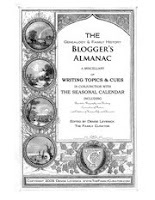 Last, but certainly not least, I want to highlight a wonderful addition to the genealogy blog community: Denise Levenick of the award-winning genealogy blog, The Family Curator, last month created the first ever Genealogy and Family History Blogger's Almanac, and has done so again in April. This FREE beautifully and artfully designed downloadable almanac comes with blogging tips, history, and weekly blogging prompts. This month, Denise also has a contest for a free copy of RootsMagic4 genealogy software! I'll be highlighting the Almanacs in all future Calendar of Events posts! 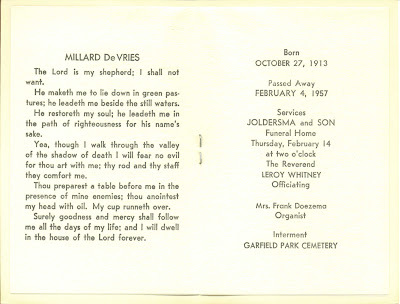 Funeral card of Millard DeVries, Grand Rapids, Michigan, citing services on 14 February 1957; DeVries Family Papers, digitized and privately held by Miriam Robbins Midkiff, [ADDRESS FOR PRIVATE USE,] Spokane, Washington. This item was passed from the estate of Adrian and Ruth (Hoekstra) DeVries to their granddaughter, Miriam Robbins Midkiff in 2008. 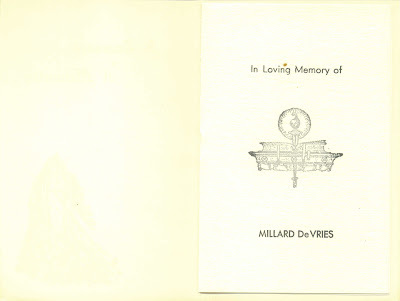 Millard "Uncle Mel" DeVRIES died in a tragic auto accident while vacationing in Vera Cruz, Mexico. He was the second of the five children of George and Josephine (BUSH) DeVRIES, and the sibling just older than my (step) grandfather, Adrian DeVRIES. He was the only DeVRIES child in this family group to have never married or have children, and worked as a jeweler and watchmaker in Denver, Colorado for 20 years prior to his death. His body was returned to Grand Rapids, Michigan to be buried in the family plot in Garfield Park Cemetery in nearby Paris Township. Thanks to Dee Akard Welborn for this great Friday theme! The April 2010 Scanfest will take place here at AnceStories next Sunday, April 25th, from 11 AM to 2 PM, Pacific Daylight Time. If you would like to be a Producer, please e-mail me no later than Saturday, April 24th at 4 PM, PDT and I'll send you an invitation. Preference will given to previous Scanfesters. You must set up an account (free!) ahead of time to be a Producer. This account will be good for all future Scanfests. You can do some practices ahead of time by going to My Account and clicking on the link under Practice your live blogging. Again, you must have IE 6.0+ or Firefox 2.0+ to be a Panelist. 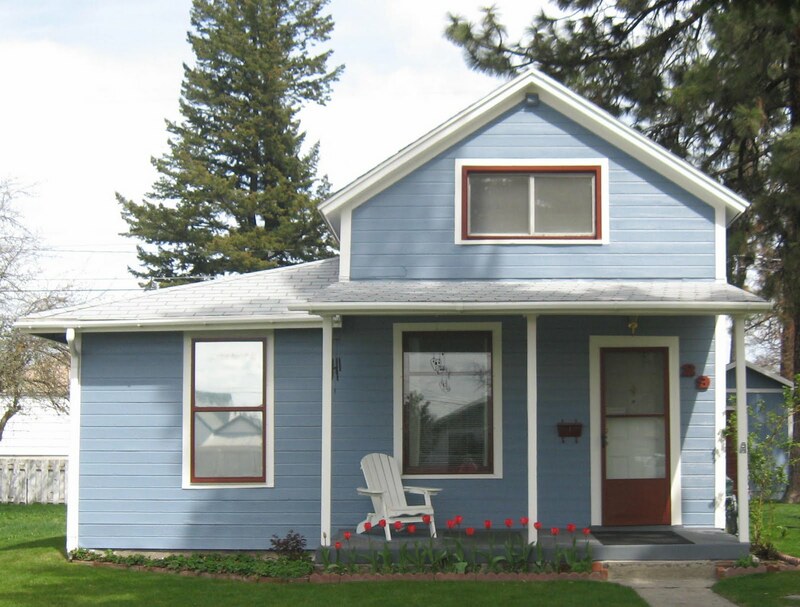 Barbara Nuehring will be the featured noted lecturer at the Eastern Washington Genealogical Society's Spring Seminar held Saturday, May 15th at the Country Homes Christian Church, 8415 North Wall Street in Spokane, Washington (see map at bottom of post). Ms. Nuehring has a B.S. in Business from the University of Maryland and after a successful career as a comptroller withing the U.S. Department of the Army, she has spent her time researching her family history and taking active roles in several organizations. Currently she and her husband travel full-time in their motor home, which gives her ample opportunity to do on-site research and make regular visits to the Family History Library in Salt Lake City. Barbara is the Secretary/Treasurer of the 200+ member Escapees Genealogy Group and writes feature columns for their newsletter and for the Green Valley [Arizona] Genealogy Society Past Tracks. She is a member of the National Genealogical Society; Genealogical Speakers Guild; International Society of Family History Writers and Editors; Palatines to America; and several local societies. In addition to the lectures, door prizes will be handed out and a raffle will be held. There will also be a contest to name EWGS's new digital publication. Registration is only $15 each for members; $18 each for non-members. No registration form is necessary; to ensure a syllabus, simply mail your check made out to EWGS and marked "Spring Seminar" by April 30th to the address below. Payment will also be taken at the door, but syllabuses are not guaranteed. Ms. Nuehring was EWGS's featured speaker at the October 2008 workshop and her presentations were met with much enthusiasm. This is a seminar you won't want to miss! For further information, please contact Miriam Robbins Midkiff by phone (484-6759) or e-mail. This is the 15th post in a weekly series of Online American Digital Archives and Databases found for free at state, county, municipal, college and university history, library, and archive websites, as well as public and private library and museum sites, and historical and genealogical society sites. Hoosier Heritage (Indiana Digital Library Collections) - http://www.hoosierheritage.net/ - serves as a mega-search engine; the list of contributing institutions and their collections can easily be viewed here. Indiana Memory - http://www.in.gov/memories/ - another mega-search engine; the list of contributing institutions and their collections are shown here. Wabash Valley Visions and Voices - http://visions.indstate.edu/ - an Indiana State University Project, collaborating with libraries, museums, and educational professionals and focusing on the Wabash Valley region in west central Indiana and east central Illinois. It "contains artifacts, administrative and personal papers, manuscripts, photographs, texts, yearbooks, maps, oral histories, and other audio/video files. Genealogical resources are not included." Although genealogical resources are not included, this simply means birth, marriage, and death records. There's plenty here to interest the family historian. Be sure to check out the Browse and Special Collections links. Allen County Public Library Genealogy Center - http://www.genealogycenter.info/ - vital records indexes, cemetery records and obituaries, court records, ethnic resources, government records, history records, institutional records, maps, military records, school records, family files, family Bible records, and much more! Crawford District Public Library Local History Databases - http://www.cdpl.lib.in.us/lh/ - Cemeteries of Montgomery County; newspaper index; Guardian's Docket (1825-1874); Hawcreek Church of God Records (1839-1853); 1876 Illustrated Historical State Atlas; postcards and photos; vertical file index; persons and organizations index; marriage affidavits, records, and licenses (1888-2001); Masonic Cemetery Records (1976-2000); Montgomery County magazine; Register of Negroes and Mulattoes (1851-1853); Teachers' Examinations and Contracts (1881-1912); Veteran Cemetery Records; index to vital records in local papers; Waynetown Masonic Cemetery (1862-2008); Yearbooks (1902-present); school staff index; Confederate Veterans burials; index to probate records, and much, much more! Hussey-Mayfield Memorial Public Library - http://www.zionsville.lib.in.us/gsdl2.81/cgi-bin/library - "the digitized collection of local writer Joan Lyons' newspaper articles on the rich oral history of the Zionsville community"
Kokomo-Howard County Public Library - http://www.kokomo.lib.in.us/glhs/index.html - check out the links to Databases, History, and Images. There is some overlap with the Howard County Memory Project. Check out my Indiana Online Historical Directories page. 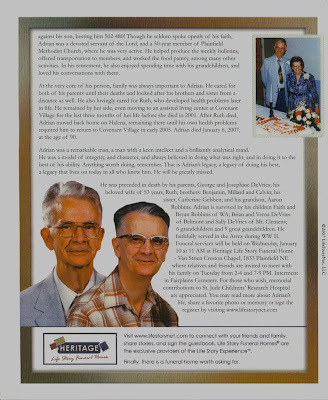 Leslie Albrecht Huber mentioned AnceStories as one of the "15 Genealogy Blogs You Need to Read" in the April 2010 issue of Discovering Family History (one of my favorite genealogy magazines!). Thank you so much for the kind words, Leslie! Pat of Genealogy Gals and Mavis of Conversations with My Ancestors were two more people who kindly awarded me the Ancestors Approved Award. Thank you, ladies! Thank you so much for thinking of me, and for your patience in my public acknowledgment of your thoughtfulness! 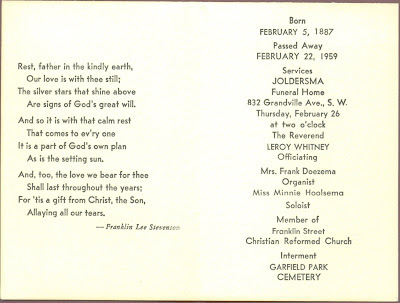 Funeral card of Ruth June Anderson, Grand Rapids, Michigan, citing death on 27 February 1998; DeVries Family Papers, digitized and privately held by Miriam Robbins Midkiff, [ADDRESS FOR PRIVATE USE,] Spokane, Washington. This item was passed from the estate of Adrian and Ruth (Hoekstra) DeVries to their granddaughter, Miriam Robbins Midkiff in 2008. 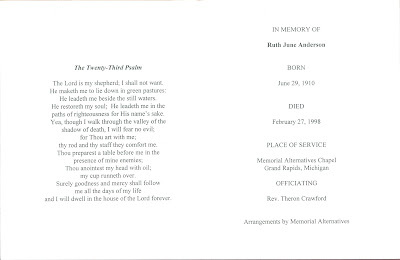 Ruth June (GOOD) DeVRIES ANDERSON was married to Benjamin J. DeVRIES, whose funeral card was highlighted last week. They married in 18 January 1936 in Mattoon, Cole Co., Illinois. After Uncle Ben died in 1966, Aunt Ruth married Lester ANDERSON, who also preceded her in death. 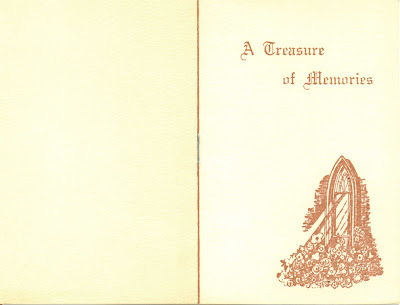 Although not cited in the card itself, the funeral took place 3 March 1998, according to Ruth's obituary. 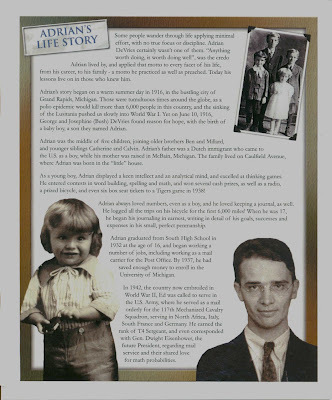 Because my maternal grandmother, Ruth Lillian (HOEKSTRA) VALK DeVRIES was married to Ben's brother Adrian, it meant there were at two Ruth DeVRIESes living in Grand Rapids, Michigan! Every week, I receive a copy of Casefile Clues in my email as a .pdf attachment. Each newsletter is about eight or nine pages long and focuses on a distinct research strategy and its process, whether it is determining if an individual with the "wrong" name in a census is actually the individual whom you are seeking; knowing when a record has missing information and why; or understanding whether it is time to hire a professional and exactly what you should ask him or her to research. Going to the Casefile Clues website provides document images and links that correspond with each newsletter. A year's subscription--52 issues--is normally $17.00. However, in the next 24 hours, Casefile Clues is being offered for a discount of $14.50! Take advantage of this special offer now! This is the 14th post in a weekly series of Online American Digital Archives and Databases found for free at state, county, municipal, college and university history, library, and archive websites, as well as public and private library and museum sites, and historical and genealogical society sites. Illinois State Archives - http://www.cyberdriveillinois.com/departments/archives/archives.html - online databases include Public Domain Land Tract Sales, Illinois Servitude and Emancipation Records, Illinois Veterans (11 sub-databases under this category! ), Statewide Marriage Index (1763-1900), Statewide Death Indexes (Pre-1916 and 1916-1950), Federal Township Plats of Illinois,as well as many county record indexes held by various Illinois universities. You can search all databases at once by using the Global Database Search! Digital Illinois - http://www.digitalillinois.org/ - some overlap with the Illinois Digital Archives content; also includes postcards, yearbooks, telephone directories, political cartoons, French WWI posters, and German emblem books. NOTE: Images from Digital Past (http://www.digitalpast.og) have recently been moved to Digital Illinois, since Digital Past is now a victim of reduced funding for Illinois libraries and library systems. So far the metadata has not been updated, but the images are available to browse.Thank you to reader Sonia for this update. Illinois Harvest - http://illinoisharvest.grainger.uiuc.edu/ - "a free public gateway combining search, aggregation, and discovery services. We provide organized and thematic access to digitized and born-digital resources about Illinois, created by Illinois scholars, and from the digital collections of The University of Illinois Library." Use to search many of the collections listed in this blog post. The Abraham Lincoln Presidential Library Oral History Program - http://www.alplm.org/oral_history/home.html - "dedicated to preserving the stories and memories of Illinois' citizens, not just those of the famous and prominent among us, but of people from all walks of life." University of Illinois (Chicago) Library Special Collections Photography and Digital Images - http://www.uic.edu/depts/lib/specialcoll/scphotos.shtml - "100 years of photographs covering the development of the Health Sciences Center, the Chicago Undergraduate Division at Navy Pier, Chicago Circle Campus, and the University of Illinois"
Western Illinois University Digital Image Collection - http://collections.carli.illinois.edu/cdm4/index_wiu_digimgc.php?CISOROOT=/wiu_digimgc - "Images in this database come from all corners of the WIU Archives and Special Collections sixteen county collection area, with a special emphasis placed upon Western Illinois University, the City of Macomb, and McDonough County. " Chicago Imagebase - http://tigger.uic.edu/depts/ahaa/imagebase/ - this is a "project aimed at enhancing knowledge about the built environment of the Chicago region. On this site you will find a wide variety of images and other data along with information on how to use this data to study the city." Includes maps, photos, and indexes. Lake County History Archives - http://www.lcfpd.org/history_archives/ - "More than 1,400 postcard views of Lake County towns and resorts; and over 200 postcard views of the former U.S. Army base at Fort Sheridan; Large photographic collection of Lake County schools, farms, residences, and individuals; and over 2,000 photographs of Fort Sheridan; Plat maps dating from 1861 showing land ownership in Lake County; School Collection including 52 separate one-room school histories written in 1918, and township school records with finances and minutes of school board meetings from 1841-1962." Skokie Historical Society Document, Map, and Photograph Collections - http://www.skokiehistory.info/photos.html - "several thousand photographs that depict the life and times of the people who settled and lived in the village of Niles Center/Skokie"
Check out my Illinois Online Historical Directories and Illinois Online Historical Newspapers pages. 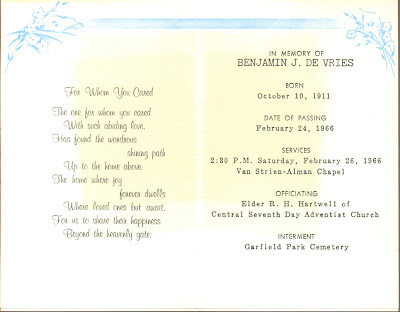 Funeral card of Benjamin J. DeVries, Grand Rapids, Michigan, citing services on 26 February 1966; DeVries Family Papers, digitized and privately held by Miriam Robbins Midkiff, [ADDRESS FOR PRIVATE USE,] Spokane, Washington. This item was passed from the estate of Adrian and Ruth (Hoekstra) DeVries to their granddaughter, Miriam Robbins Midkiff in 2008. Benjamin J. 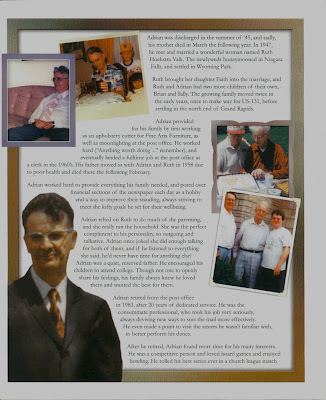 "Uncle Ben" DeVRIES was my mother's paternal (step) uncle, oldest sibling of my (step) grandfather, Adrian DeVRIES. 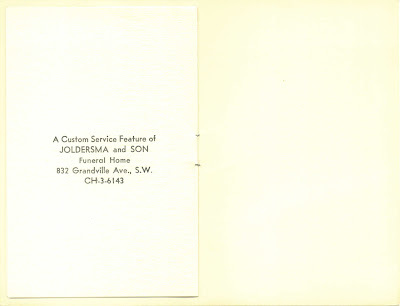 The yellowing on the interior of the funeral card is from the obituary having been stored within the card for over 40 years; a serious reminder to all of us to store newspaper away from other documents and photos and to spray clippings with a stabilizing agent, such as Bookkeeper deacidification spray. Surely by now you know of the Internet Archive...a great place to read and download out-of-copyright historical texts, as well as access obsolete websites. And surely by now--as a genealogist--you have heard of the Allen County Public Library in Fort Wayne, Indiana, which has one of the largest genealogical collections on the continent. But did you know that many of these historical and genealogical texts from ACPL are being scanned and uploaded to the Internet Archive, so that the public can view them for free? You may not be able to take a trip to Fort Wayne, but you can visit via the power of the World Wide Web! Since adding this feed to my Google Reader, I have come across several genealogical books about my family lines, including one on Elder John Strong of Massachusetts. As the webmaster for the Online Historical Directories website, I can also keep an eye on historical directories that get uploaded. Thanks to Taneya Koonce of Taneya's Genealogy Blog, who has been so faithful in sending me links to online directories at the Internet Archive! Due to the busy holiday weekend, which--besides a trip out of town and family time--included a genealogical society board meeting and general meeting, my Illinois Archives and Databases post has been delayed. The good news is that there are many, many, wonderful links, and that is why it has been taking so long to put together...I can't wait to finish it and publish all this great information! Ole Lerfald, unknown location to Rena Lerfald, Glendive, Montana, postcard, undated, unstamped and unpostmarked. 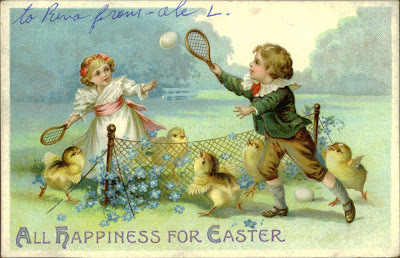 Lerfald-Westaby Postcard Collection, digitized and privately held by Miriam Robbins Midkiff, [ADDRESS FOR PRIVATE USE,] Spokane, Washington. 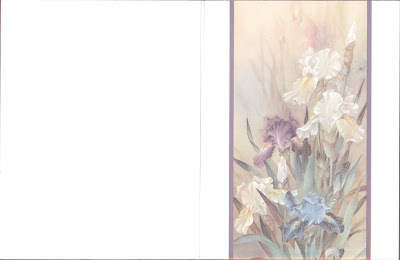 Original collection privately held by Troy W. Midkiff, [ADDRESS FOR PRIVATE USE,] Vancouver, Washington. 2010. 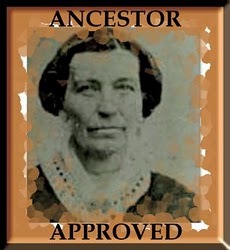 The Ancestor Approved Award asks that the recipient list ten things you have learned about any of your ancestors that has surprised, humbled, or enlighted you and pass the award along to ten other bloggers who you feel are doing their ancestors proud. 1. My 4th-great-grandfather Uzza ROBBINS was hung after he poisoned his second wife and attempted to poison her adult daughter. There's a lot more to this story, and maybe I just ought to write it up! 2. While both my parents are from Michigan, as their ancestors were for many, many generations, my maternal grandmother, her parents and both sets of grandparents lived here in Washington State (albeit on the West side) for a time in the 1920s. 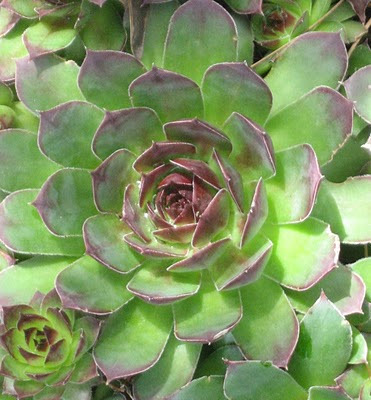 While most of the family eventually returned to Michigan, one set of her grandparents remained in the Pacific Northwest. 3. For years, I thought one of my 3rd-great-grandfather's brothers had died in Washington, DC and was buried in Arlington Cemetery. They were both Civil War vets from Pennsylvania who had moved to Michigan and the story was passed down that Benson had "died in Washington and was buried in Arlington." Imagine my surprise at yet another Washington State connection when I discovered that Benson had died in Washington State and was buried in the city of Arlington, Washington! 4. And in still another surprising Washington State connection, I found out that yet another brother to Benson and my ancestor had lived in Stevens County to the north of me after moving west from Michigan. I found his 1916 obituaries printed in both my local newspaper in Spokane and in the newspaper my parents read in Stevens County! 5. My maternal (step) grandfather was a brilliant man whose IQ was definitely in the genius range. He attended the same high school that Gerald R. Ford did in Grand Rapids, Michigan (a few years behind the future president), and actually skipped at least one grade because he was so bright. When he graduated high school, he didn't immediately go to college. He worked hard and saved money to attend the University of Michigan one year at a time. He never completed college because he ended up loaning his parents money they desperately needed (this was during the Depression), and then World War II came along. After the war, he married my divorced grandmother (a social no-no in conservative West Michigan), raised my mother as his own, and had two children with Grandma. 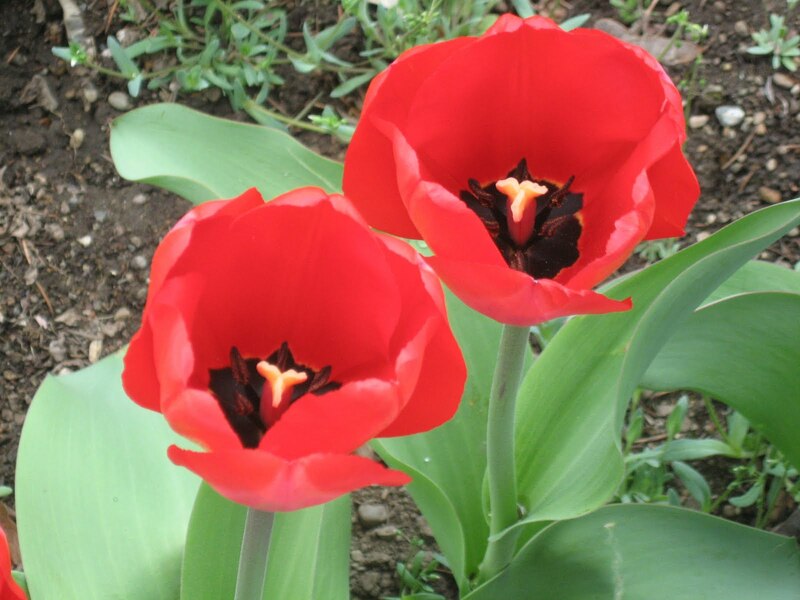 He treated all three children equally and willed his estate equally among them. He invested well and even though he lost money during the dotcom bubble burst, this man who lived very frugally in an older middle-class neighborhood died with a small fortune to his name. Definitely one of the Greatest Generation! 6. My paternal grandfather was a hard working man who left high school after 10th grade to support his parents during the Depression (his father suffered frequent illnesses from his service during WWI). He also served during WWII, and after the war, bought land at the edge of town to build a home and business (body shop). He and my grandmother raised five children and countless foster children. They took in at least one of his younger siblings for a while, and also employed his father and his brothers in his body shop. He loved children and worked a church summer camps for years. Although he made a working class salary, he and my grandmother managed to take family road trips all over the country to see famous historical and geographical sites. When he was 67 years old, he completed his high school education and received his diploma (I have one of his notebooks from his classes). Another one of the Greatest Generation! 7. My 2nd-great-grandmother on mother's side, Jennie (TON) HOEKSTRA, was the daughter of Dutch immigrants. Both her parents died young and she ended up working as a washer woman at about 10 years of age. She had a very hard life with her step-father who married again soon after her mother died, so she lived with an uncle and aunt. She never had more than a 3rd grade education and she married my 2nd-great-grandfather who could be a bit of a tyrant. She is one of those ancestors I think about whenever I'm tempted to whine about my "hard" life! 8. Although not a direct ancestor, I'm inspired by the life of my grandaunt, Barbara Dorothy VALK. A missionary to various countries in Central Africa, she remained single so that she could be an independent woman. Her amazing story can be read here. 9. I always thought of my great-grandmother, Marie (LEWIS) ROBBINS, as simply a homemaker, raising five children during the Depression, cooking, gardening, and sewing. But I discovered that she was much more three-dimensional than that! She was a charter member of the American Legion Auxiliary in Conklin, Michigan, and served as its first president. She also ran a gift shop to help support the family (her husband suffered illness from serving during WWI) and I found an advertisement for it in one family member's high school yearbook! 10. 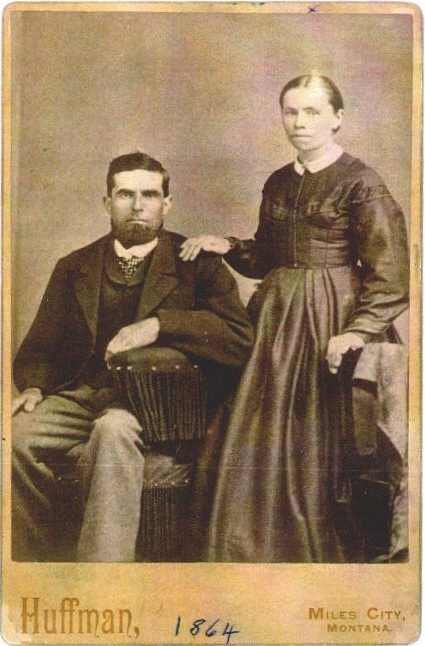 Another amazing female ancestor was my 2nd-great-grandmother, Mary E. "Mae" McARTHUR. She had the courage to leave her abusive husband (who came from a locally prominent family) in 1904. It cost her so much, because she was only allowed to take her daughter with her, while her two sons were raised by her husband. It must have been heart-wrenching not to be able to take her sons with her, and even harder over the years to watch them as they both led hard lives, the youngest (my great-grandfather) ending up in prison a couple of times. Funeral card of George Edward Benjamin (a.k.a. Jarig Egbert Binnes) DeVries, Grand Rapids, Michigan, citing services on 26 February 1959; DeVries Family Papers, digitized and privately held by Miriam Robbins Midkiff, [ADDRESS FOR PRIVATE USE,] Spokane, Washington. This item was passed from the estate of Adrian and Ruth (Hoekstra) DeVries to their granddaughter, Miriam Robbins Midkiff in 2008. 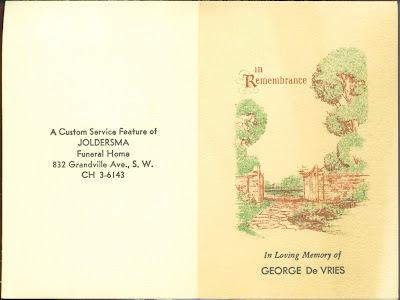 This is the funeral card of my (step) great-grandfather, George Edward Benjamin DeVRIES. He was born in the Netherlands and his original Dutch name was Jarig Egbert Binnes DeVRIES. He came to the United States in 1897 with his widowed mother and two younger siblings, and they are the only family I have that came through Ellis Island (all my other immigrant ancestors came much earlier and most passed through Castle Garden). You can read more about George/Jarig in the AnceStory I have written on my website here. 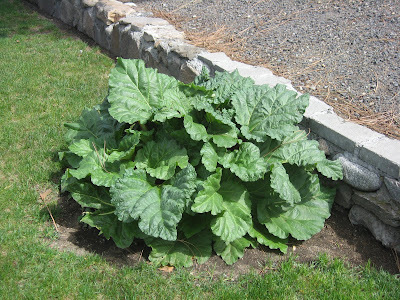 Posted April 3 - the 92nd Edition of the Carnival of Genealogy - Dance! It is not Spring until you can plant your foot on twelve daisies.